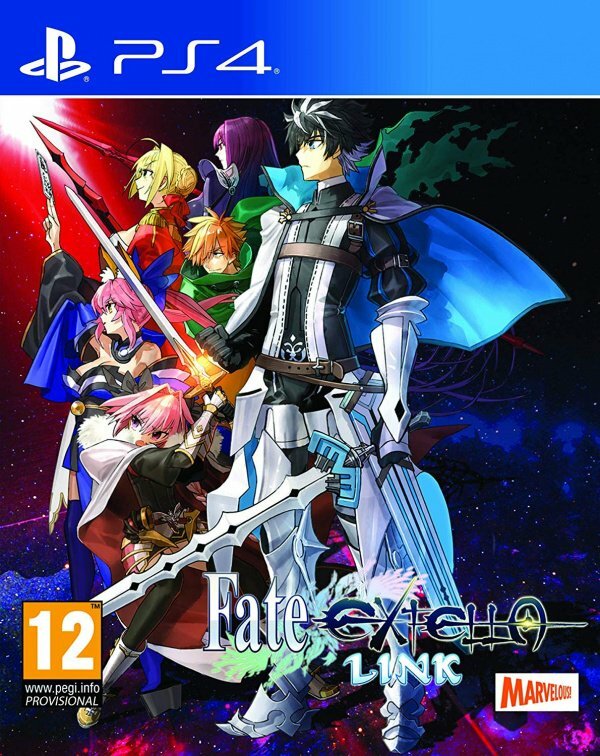 Although it wasn't perfect, we've always been quick to express our fondness for Fate/Extella: The Umbral Star. The 2017 release was a fine hack and slasher, complete with a fleshed out story and a whole roster of interesting characters. 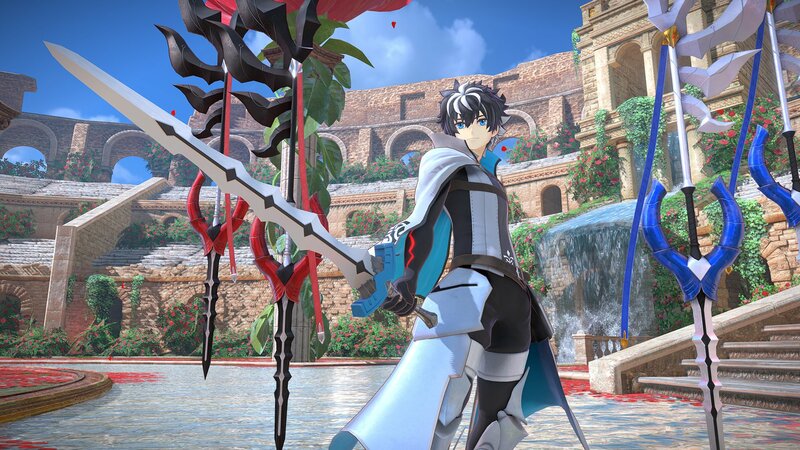 It was a rock solid game, and its sequel, Fate/Extella Link, is pretty much the follow-up that we wanted. Link improves on almost everything. It's got a larger selection of characters, more missions, more unlockable skills, and even a full bonding system that lets you interact with every member of the cast. As a standalone package it's incredibly hard to fault, but it's also a bit of a shame that Link recycles a lot of The Umbral Star's core. Returning players will note that only one new type of environment has been added, and much of the user interface looks near identical. These are hardly damning complaints, but you could argue that the sequel plays it a little too safe. Overall, though, with so many characters to explore, levelling them up and mastering their unique fighting styles, it's a title that's difficult to put down. The story mode's where you'll unlock many of these fighters, and with several different endings to discover, the mode demands a decent chunk of your time. We'd go into the details of the plot, but as with anything Fate, things get rather abstract quite quickly. The gist of it is that there's a kind of cyberspace where influential figures from throughout history -- famous warriors, philosophers, and legendary heroes -- are reinvented as powerful digital entities. It falls to you to command these entities as they wage war against one another, all for the sake of peace. It's a premise that sounds bizarre on paper, but it's especially crazy in practice. The good news is that the game does a fair job of stringing you along, and the story itself is actually quite interesting in a weird, often impenetrable way. Look, you'll just have to trust us on this one, okay? It's not every day that you get to see a female version of King Arthur annihilate an army of rogue programs with an Excalibur 300 times her size. The story mode's very replayable thanks to several difficulty levels that are yours to conquer, but with so many characters to try, you'll soon find yourself gravitating towards the game's secondary mission mode. Here you'll dive into a gauntlet of over 40 extra missions, perfect for levelling up your favourite fighters. There's no story tying these battles together, but they form the basis for Link's endgame grind. They grant more experience, and you have a better chance of earning more valuable skills as loot. If you enjoy the combat system, then this additional mode is the place to be. Speaking of which, the combat in Fate/Extella Link is the glue that holds everything together. Fundamentally it's your standard hack and slash action title, where you make use of simple two-button combos. You cleave your way through hundreds of lesser foes with every swing, before engaging more dangerous opponents in flashy duels. 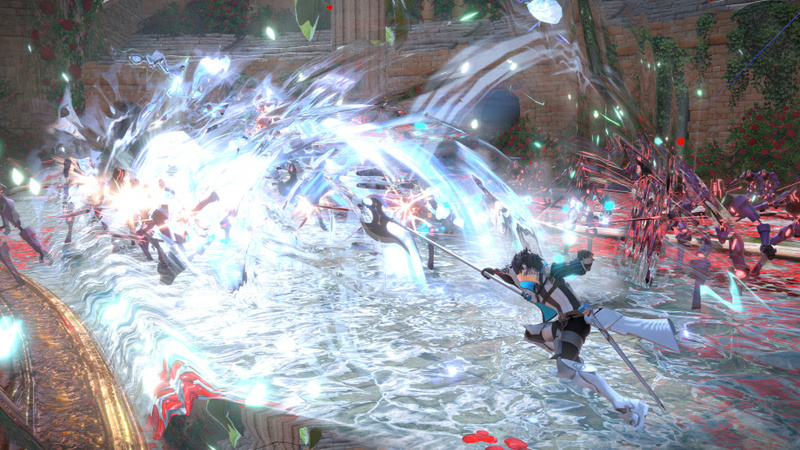 It's the Dynasty Warriors formula, but what sets the series apart is its active skill system. By holding down R1, each character gets access to four unique abilities, or active skills. 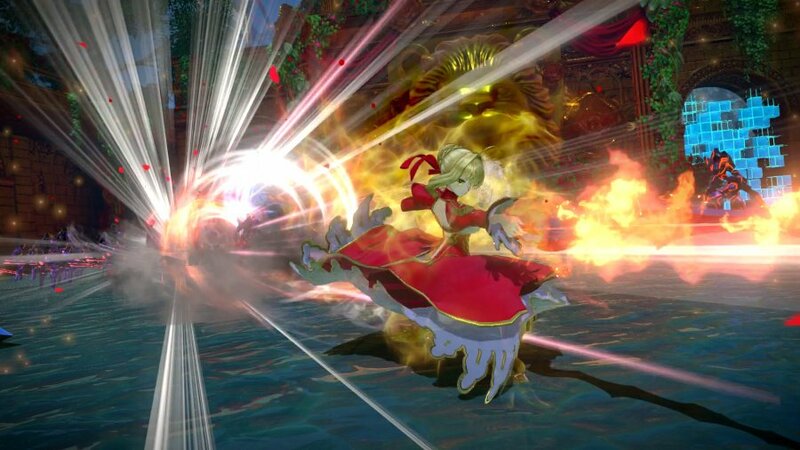 These range from explosive attacks to temporary buffs, and they add a real kick to Link's combat. Well animated and decidedly booming, these offensive techniques punctuate the action every step of the way. Combine active skills with devastating super moves and a 'rush' mechanic that has you beat the absolute heck out of the enemy in a QTE-driven fury, and you've got accessible, satisfying Warrior-style combat that goes toe-to-toe with Koei Tecmo's finest. Hugely enjoyable stuff. Perhaps the one weakness in Link's arsenal of game modes is its competitive online multiplayer offering. The whole thing just feels a bit tacked on, as two teams duke it out to capture the key points of a battlefield. As good as the combat system is, it doesn't work all that well when you're up against human opposition -- there's a tendency to just spam your best abilities and hope that things work out in your favour. What's more, some characters are quite clearly stronger than others, especially if they've got long range active skills. Multiplayer is a potentially neat idea, but unless you're desperate to play with friends, it's easily ignored. As far as Warriors-style action games go, Fate Extella Link is near the top of the pile on PS4 -- it's a robust and refined sequel that fans of the genre shouldn't miss out on. The process of levelling up, collecting skills, and bonding with your favourite Fate characters is both satisfying and rewarding, and although repetition does become a factor later on, the flashy combat has enough kick to keep you engaged. While it could be argued that Link should do more to evolve beyond its predecessor, it's still hectic hack and slash fun from start to finish. If anyone's got any questions, I'll try to answer them! @ShogunRok One question - What the hell is happening to red sword woman's body? I cannot make heads or tails of it. @turntSNACO Lol I think I know which screenshot you mean. She's just expressing herself! No but seriously, I think she's taking a wide stance but her body's twisting into the swing of her weapon. Probably not a style that serious swordsmen would encourage. I'd bump it up to an 8 just for localizing the Vita port. @shogunrok Do you have to play the first game to get what's going on in this one? @Kibinaaru The story does take place after the first game but past events aren't referenced that often. It's quite a complex story, though, with a lot of terminology, and while there is a glossary and all that stuff, it helps if you already have some knowledge of Fate. Having said all that, if you dive into this with an open mind and you're mostly looking to just enjoy the gameplay and characters, then I think you should be fine. Unfortunately a lot of people will sleep on games like this on PS4. I hope, that it’ll sell well though. I’m getting this. Still preferring niche titles over blockbuster games. You can't escape from crossing fate! In addition to the aesthetic, I particularly enjoyed the frantic territory control in Umbral Star. The story was compelling but the long VN sequences can prevent me from playing if I'm not in the mood (often musou games are an outlet for when I just wanna play something but not in the mood for anything). I'm glad the vita port is not just a nominal port, as the original worked well on vita.